Summer is almost here and families are evaluating activities such as sleepaway and day camps, sports teams and family vacations. Many are also examining which medications are needed to prepare for allergy and asthma season. With Medicaid and the Children’s Health Insurance Program (CHIP), parents can breathe a little easier knowing their kids can get the coverage they need to tackle seasonal allergies, and be prepared to participate in warm weather activities. For uninsured kids in families with limited incomes, Medicaid and CHIP offer eligible children and teens up to age 19 access to immunizations, regular check-ups, eye exams, dental visits, mental health services, prescriptions, and other care that helps keep children healthy and safe during the summer. Kids not only get comprehensive preventive care, but also are covered for accidents, so a broken arm won’t break the bank. 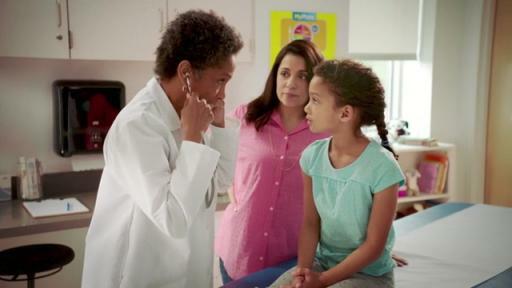 The Connecting Kids to Coverage National Campaign, an initiative of the U.S. Department of Health & Human Services’ Centers for Medicare & Medicaid Services is increasing awareness about Medicaid and CHIP and how eligible children and their parents can enroll. Millions of uninsured children may be eligible for coverage, but their parents don’t know it. In most states, children may be eligible for either Medicaid or CHIP if their family income is up to $50,000 (for a family of four in 2018). In many states, families can be eligible with higher incomes and parents may qualify for Medicaid. Families can apply for Medicaid and CHIP coverage any time of the year, but now is the perfect time to enroll so kids can make the most of their summer break! The 60-second radio and 30-second TV PSAs are available in English and Spanish. The PSAs feature “kids being kids” and lets their parents know that Medicaid and CHIP health coverage will help keep their children healthy and safe this summer break and throughout the school year.